This was probably the best dystopian novel I've ever read. I love how this story was written with words crossed out, numbers written in numerical form, and repeated words/phrases because they truly put me into Juliette's mind. They were the effects of how she's been treated and represented her sanity, her sanity, her sanity. Besides these writing traits, the rest of the writing made me feel like I knew exactly how Juliette thought and felt: crazy, defiant, longing, heartache, and most of all, love. Juliette is a strong M.C. that I really loved to death. I really got a sense of what it was like to live in confinement from how Juliette's thoughts came through in Tahereh Mafi's writing. As the book continued, I really felt for her and how crappy her life had been. Never being able to touch people for fear of killing hurting them, for people being disgusted by afraid of her because she was a monster dangerous. I felt her heart ache as she wished someone would actually treat her like a human. Which leads me to Adam. Adam was a boy Juliette used to know before she was taken away for years of testing and locked away from the public. Adam was the only boy person who didn't throw rocks at her when they went to the same school. He didn't treat her like a pariah. He sometimes even stood up to the bullies for her, like he did care. Then she meets him again after all these years and as it turned out, he can touch her without being hurt. I loved Juliette and Adam together. The way they fought for each other and for a future made me want to fight with them. In fact, this entire book made me want to get up and do something to prevent this from ever happening to my own country. Books like this reinforce that fire in me that moves me to fight for everything a society should fight for. Shatter Me accomplishes what, in my opinion, all of the other YA dystopian series of the recent years have failed to do: This futuristic United States (as I assume it was) seemed MORE than just a government/society gone wrong, one that would never happen; The Reestablishment felt like a result that was highly capable of happening if our future continues to plunder. The Reestablishment is a militaristic government and Juliette lives on the base for a good portion of the novel, so we get to see what this government is actually like and capable of doing. In the future books, I hope to learn more about this aspect of this futuristic world to gain an even deeper sense of it. 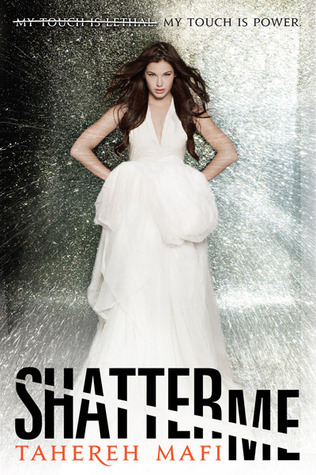 Find Shatter Me on Goodreads, Amazon, and B&N. 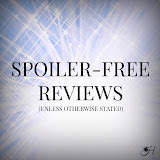 Show Tahereh Mafi some love on her website, Facebook, Twitter, and Goodreads! Also, CLICK HERE is a short interview with Tahereh. It just makes you want to read it, doesn't it? Great review! I liked Unravel Me (the 2nd book) even better than this one:) You should definitely read it. Thank you! And that's so good to hear! I definitely plan on reading Unravel Me--sometime later this year perhaps? I'm not sure, there are just so many books I want to get to this year! Ooh! This one sounds amazing! I definitely need to read it! P.S. I had a whole post asking about comment tool options, but it doesn't seem like there are any tools that work well for everyone. I haven't decided if I'm going to switch or not, but check out the post if you're interested in people's responses. I'm trying to remember to subscribe to comments when I leave one so I'll get the replies.